Lullaby is an encore for Igor Yuzefovich, Pei-Sian Ng, and Andrew Litton of the Singapore Symphony Orchestra following their performance of the Beethoven Triple Concerto with the SSO in November. Recent highlights include a performance of Kalevi Aho’s Double Cello Concerto with his twin brother Ng Pei-Jee and the SSO and also the Asian premiere of John Tavener’s Flood of Beauty with the Yong Siew Toh Conservatory Orchestra under Jason Lai as part of Tapestry, A Sacred Music Festival. In November 2016, Ng is looking forward to playing alongside Yo-Yo Ma and the SSO for the fresh and exciting double cello concerto Violoncelles Vibrez! by Giovanni Sollima. Ng is currently Principal Cellist of the Singapore Symphony Orchestra and a faculty member at the Yong Siew Toh Conservatory of Music, Singapore. Ng Pei-Sian performs on a 1764 Giovanni Antonio Marchi cello, Bologna. 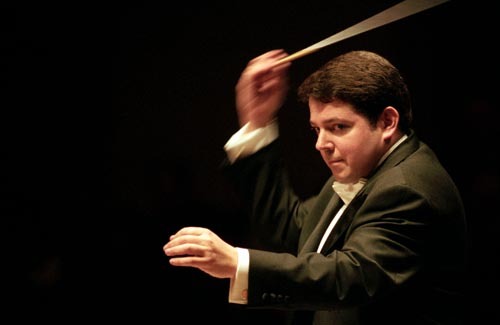 Andrew Litton, Music Director of the New York City Ballet, also is Artistic Director of Minnesota Orchestra’s Sommerfest, Principal Guest Conductor of the Colorado Symphony, Conductor Laureate of Britain’s Bournemouth Symphony and Music Director Laureate of Norway’s Bergen Philharmonic. Recently named Principal Guest Conductor of the Singapore Symphony Orchestra, he begins his new duties this fall. Litton led the Dallas Symphony as Music Director from 1994 to 2006, leaving a legacy of touring including Carnegie Hall, the BBC Proms, the Berlin Philharmonie, and Vienna’s Musicverein. His Dallas Symphony series of young people’s Amazing Musicvideo recordings is in use throughout schools in the United States and abroad. He regularly guest conducts leading orchestras and opera companies around the globe and adds to his discography of almost 130 recordings, which have garnered America’s Grammy Award, France’s Diapason d’Or and other honors. Litton’s guest appearances last season included the Netherlands Philharmonic at the Concertgebouw, the Royal Scottish National Orchestra, the Orquesta Sinfónica de Galicia of Spain, the Melbourne Symphony Orchestra, and the Singapore Symphony. Many of Litton’s concerts are audio and video cybercast live. This season, besides conducting over 30 ballets at the New York City Ballet, Litton appears with the Minnesota Orchestra, National Taiwan Orchestra, Singapore Symphony, Vancouver Symphony, Bergen Philharmonic, Colorado Symphony, Bournemouth Symphony, the Orquesta Sinfónica de Galicia. Internationally acclaimed violinist Igor Yuzefovich was most recently appointed Concertmaster of the Singapore Symphony Orchestra, having previously served as Concertmaster with the Hong Kong Philharmonic and Assistant Concertmaster with the Baltimore Symphony Orchestra. Born in Moscow, Russia into a musical family, Mr. Yuzefovich began his violin studies at the age of 5, and soon after enrolled at the Gnessin Music School, studying with Irina Svetlova. In 1991, Mr. Yuzefovich moved to the United States where he continued his violin studies and later earned advanced degrees from The Peabody Conservatory under the tutelage of world renowned pedagogue Victor Danchenko. A winner of numerous competitions, Mr. Yuzefovich has performed all around the globe. His concerts and recitals have taken him from Carnegie Hall in New York to Cairo Opera House in Egypt, across Europe, South Africa and Asia. As an active chamber musician, Igor Yuzefovich co-founded the Monument Piano Trio in 2004, which debuted to critical acclaim in Baltimore, Maryland and has since captivated audiences across the United States. In 2011 the Trio released their debut recording, featuring works by Brahms, Shostakovich and Schoenfield. In addition to a busy performance schedule, Mr. Yuzefovich leads numerous master classes and is in high demand as guest concertmaster. One of Mr. Yuzefovich's passions in his free time is sailing – a sport in which he finds close ties to violin playing.